Do you find that you have difficulty using your iPhone with one hand because you can’t reach the top of the screen? 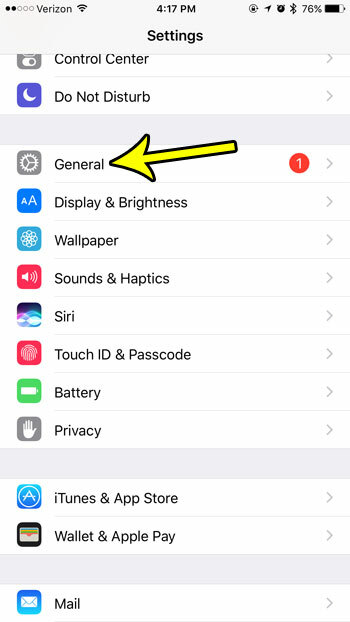 You aren’t alone, and the problem is so common that Apple actually added a special setting that will make it easier to use the device with one hand. This setting is called Reachability, and it works by sliding the top of the screen down to the middle of the screen so that you can reach it. You activate Reachability by tapping the Home button twice. Our guide below will show you how to find and enable this setting on your iPhone. The steps in this article were performed on an iPhone 7 Plus in iOS 10.3.3. 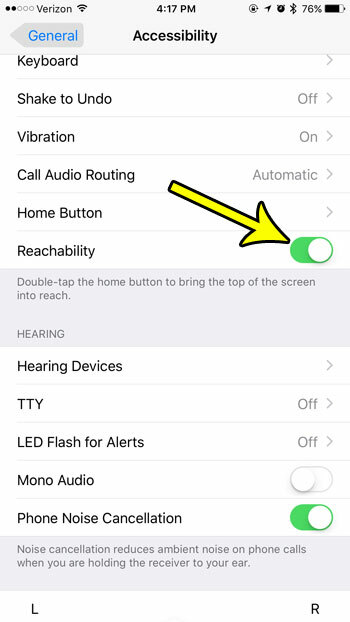 These steps assume that the Reachability setting on your iPhone is turned off. 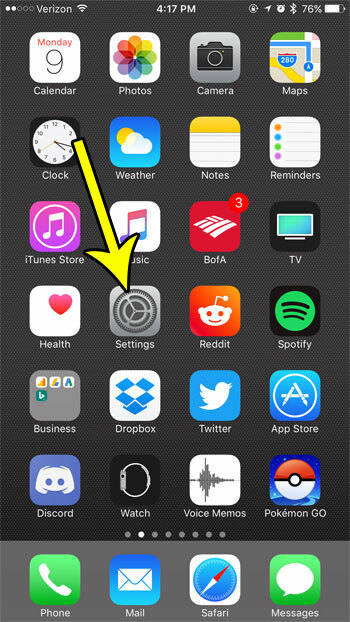 Step 4: Scroll down and tap the button to the right of Reachability to turn it on. 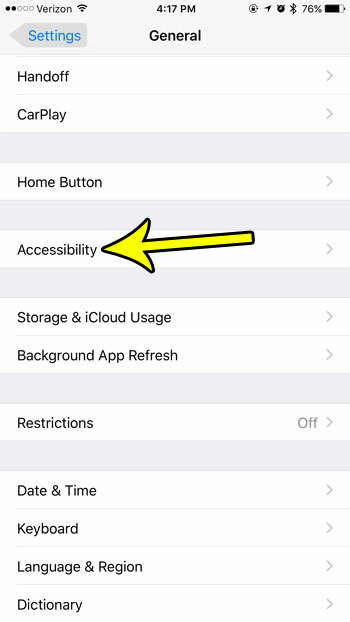 Once you have enabled the Reachability setting you will be able to tap the Home button twice, which will slide the top of the screen down a bit so that you can reach it when holding the device with one hand. Note that there is a distinction between tapping the Home button to activate Reachability and pressing the Home button twice, which will bring up the App Switcher so that you can multitask or close an app. You might need to practice a few times to get the hang of how lightly you need to tap the Home button for Reachability. Low on storage space? Find out about a few different methods that can help you to free up some of the storage space on your iPhone for more apps, music, movies, and more.